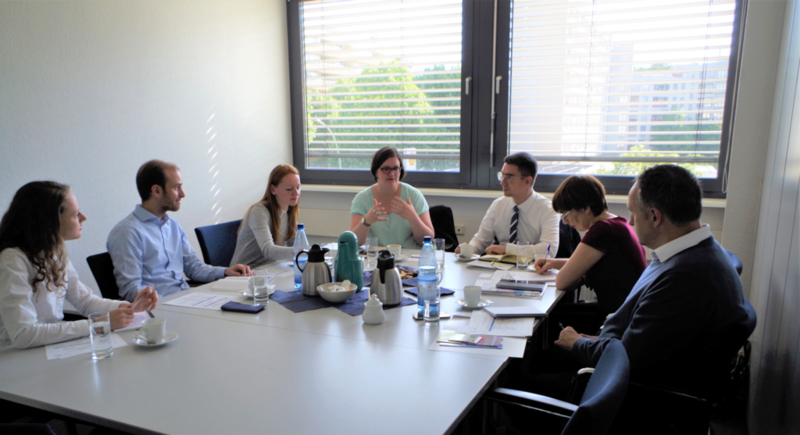 Last week our deputy director Katrin Böttger and the Berlin Policy Hub team welcomed our first guests from Ukraine for their research and networking visit to Berlin in the framework of the Berlin Policy Hub project. The delegation of our project partner Centre for Economic Strategy (CES) consisted of Hlib Vyshlinsky, director of CES and deputy director Dmytro Yablonovskyy. They were accompanied by Oksana Kuziakiv, Chief Executive of the Institute for Economic Research and Policy Consulting (IER) in Kiev. CES and IER are economic think tanks with a focus on elaborating strategies for economic development, foreign trade, financial market policy and competition policy in Ukraine. Their research in these areas is complemented by capacity development projects for civil society and companies. Moreover, CES and IER are members of the Reanimation Package of Reforms (RPR), an association of Ukrainian NGOs and experts aimed at facilitating the implementation of judicial and anticorruption reforms, decentralization and reforms of public administration and law enforcement agencies in the framework of the Association Agreement between the European Union and Ukraine. In addition to exchanging their views on current German-Ukrainian relations and the German perspective on Ukraine’s economy, our Ukrainian colleagues were especially interested in the development of small and medium-sized businesses (SMEs) in Germany and their impact on Germany’s economy: What is the basis of their success and to what extent can they serve as a role model for Ukrainian companies? Our fellow researchers from CES and IER discussed these topics with representatives from German Think Tanks and associations, such as the Center for Liberal Modernity (LibMod), the German Association for East European Studies (DGO), the German Committee on Eastern European Economic Relations, the consulting company of the German Institute for Economic Research DIW Econ, the German Council on Foreign Relations (DGAP), the Centre for East European and International Studies (ZOiS) and the German Association for Small and Medium-sized Businesses (BVMW). 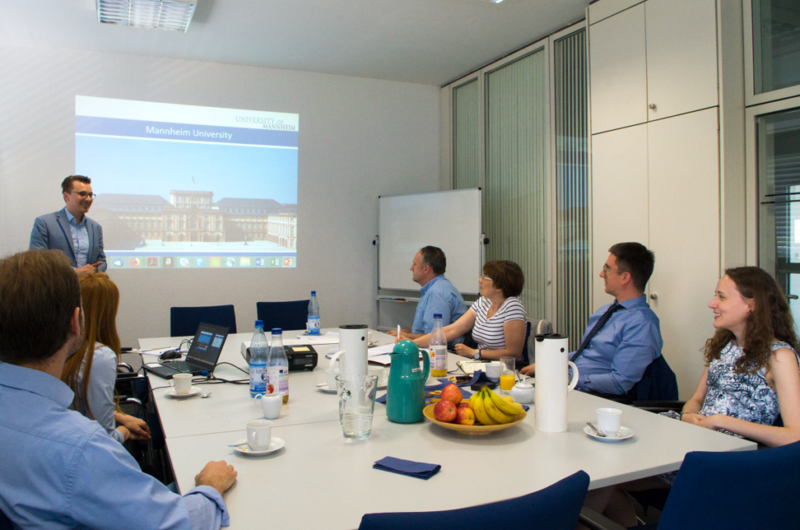 A workshop on German SMEs with Dr. Niclas Rüffer, researcher at the Institut für Mittelstandsforschung (ifm) of Mannheim University, completed the visit to Berlin. 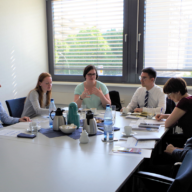 The multifaceted agenda provided our project partners from Ukraine with new insights into the German policy scene and the specific features of Germany’s Mittelstand and helped to create new ideas for further cooperation. 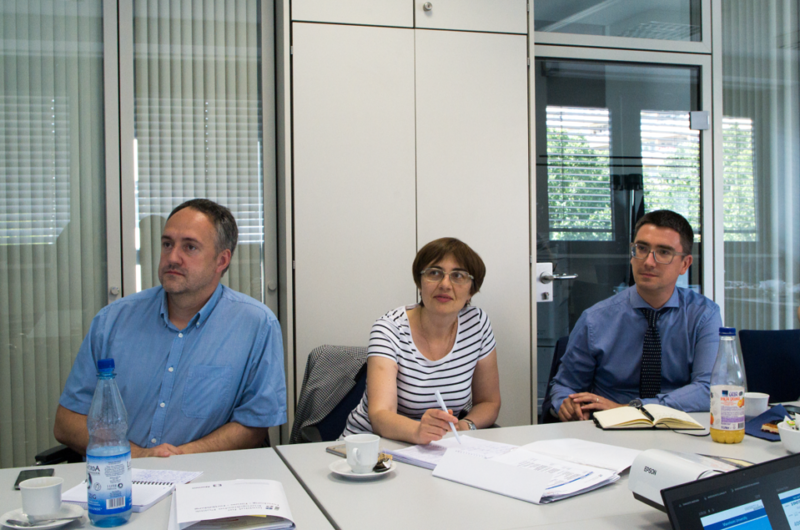 We are looking forward to mapping them out together with CES and IER! 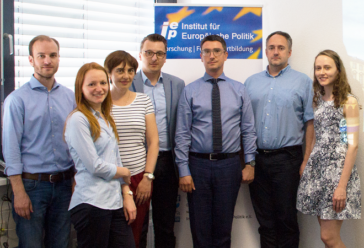 The Berlin Policy Hub serves as a first contact point for connecting Think Tanks from Moldova, Georgia, Ukraine and Germany. 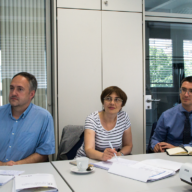 It is funded by the Open Society Foundations in the framework of the “Europeanization beyond Process” initiative. 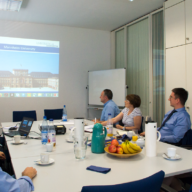 More information on the project are available at iep-berlin.de/en/policy-hub.